Arsenal are reportedly interested in signing the winger who Premier League rivals Newcastle United attempted to bring to EPL 18 months ago. 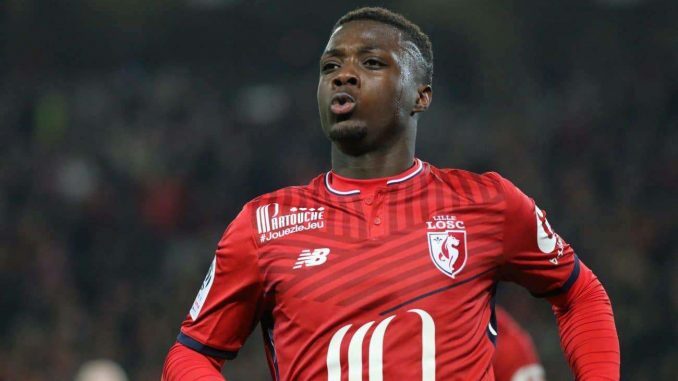 According to a report from the French media outlet Le 10 Sport, Arsenal are tracking LOSC Lille winger Nicolas Pepe, a player who Newcastle United tried to land for £10 million in 2017. The Gunners have already contacted the star’s agent, according to Le 10 Sport, and an offer of somewhere in the region of £30 million might just be enough to snare the 23-year-old star. According to a report from the Chronicle, Newcastle United were close to signing Nicolas in January 2017 but backed away from the reported deal after refusing to increase their initial £8 million bid for the winger by another £2 million. The Ivory Coast international star has been in fine form for LOSC Lille since joining them in the summer of 2017, chalking up a stunning 15 goals and eight assists in 42 appearances in all competitions. He is undoubtedly a star who could go on to reach the very top, and if Gunners manage to sign Pepe for £30 million, it could prove to be a real coup for the north London giants.